Social media has allowed us to bring Jodi’s case to the masses like never before. 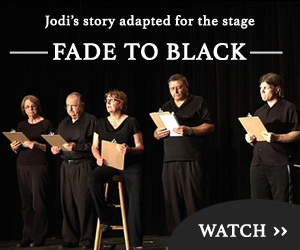 If you use Twitter (or even if you don’t), you’ll be able to watch our special Twitter event chronicling live events that happened 48 hours before and after Jodi disappeared. Team member and social media guru Tara Manis is preparing a live Tweet event that will list very detailed events with dates and times of events that took place in Mason City and beyond before Jodi’s disappearance, and after news broke of what happened. If you’re new to Twitter, no problem. Twitter is is an online social networking service and micro-blogging service that enables its users to send and read text-based messages of up to 140 characters, known as “tweets“. All you have to do is visit the FindJodi Twitter page and watch as Tara tweets out these events live. You can follow along and learn a lot about the case as it happened 18 years ago. Here is the website you can visit to follow along. If you’re a registered Twitter user, you can respond to these tweets with your comments or ‘retweet’ them to your followers. If you’re not registered, it’s very easy – simply register here. It’s free and fun to use. Some of these tweets will surprise you. If you’re new to the case, this is an intimate look at events as they happened. We encourage you to check the FindJodi Twitter feed often. Also, some of our team members are on Twitter as well. We encourage you to ‘follow’ them to learn more about how Twitter works and we would love to follow you back. Click the follow button on any of the following team member accounts. Thanks again for your support and we look forward to you checking out Tara’s live tweet event.